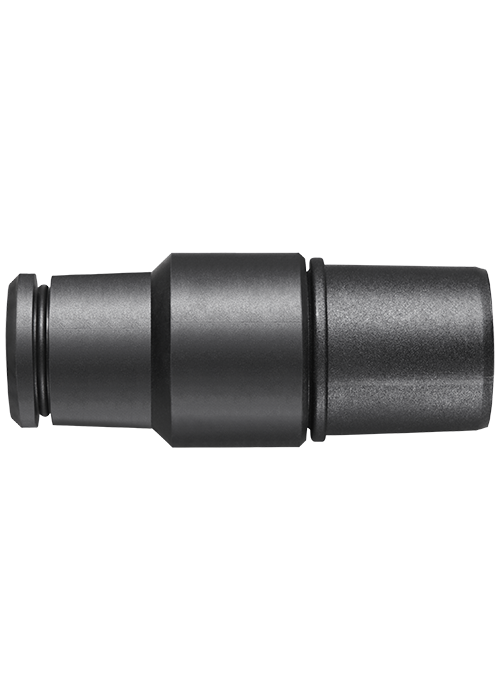 Universal vacuum hose adapter provides versatility for attaching different sized hoses. Connects to 19 mm ports on Bosch sanders, jig saws, hammer tools and attachments. Connects 1-1/4 and 1-1/2 In. hoses to tools and attachments. Designed for Bosch products but also fits other brands. High quality construction provides strength and durability.